Interior stylist super-star Sarah Ellison has recently released a stunning range of contemporary furniture. Here’s a look at her debut The New Wave collection. Many of you would know of Sarah’s styling work at Real Living magazine, where she was the Style Editor for seven years. 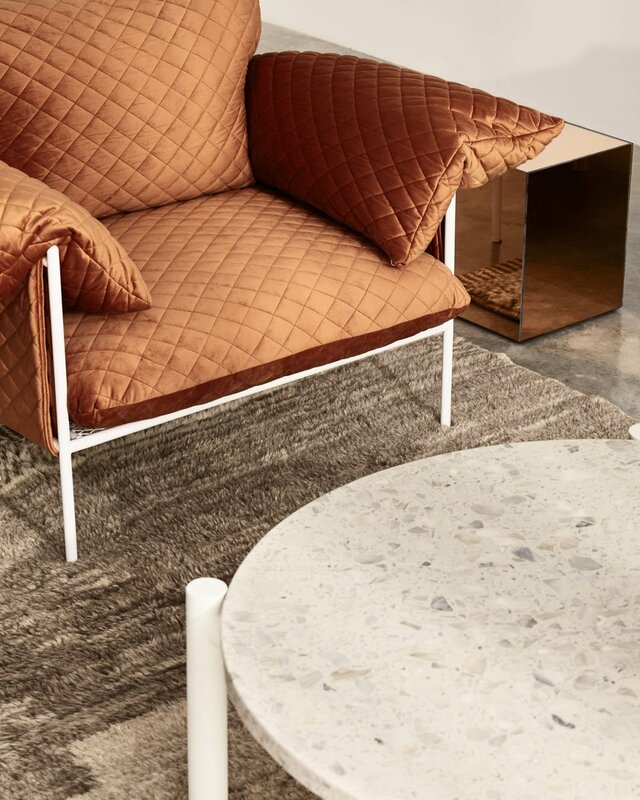 Since departing from Real Living, she has gone on to release a beautifully considered, well-designed range of contemporary furniture and homewares with a real urban edge. Inspired by her love for coastal interiors and life in Bondi Beach, there’s so many pieces to ooh and ahh over. We’ve fallen in love with the Alva armchair in velvet, Jay terrazzo coffee table (both pictured above), and that heavenly Stacey dining table (below), just to name a few. The range is available to purchase from Clickon Furniture and Sarah Ellison Studio.